• Get the 12-inch skillet, 2-inches deep. You won’t regret it. • Most cast-iron sold nowadays is pre-seasoned, but you will probably find that you will need to reseason it from time to time. • If you can find some great, greasy, vintage cast-iron at a garage sale, buy it! • Yes, there are lids. Tempered glass, oven-safe ones. Hooray! Buy them here. • Ever exfoliate with a sugar scrub in the shower? Notice how nicely moisturizer gets absorbed by your skin afterwards? Your pan likes scrubs too. Seared on crud got your cast-iron surface sticky? Heat your pan over high heat for a minute or two. 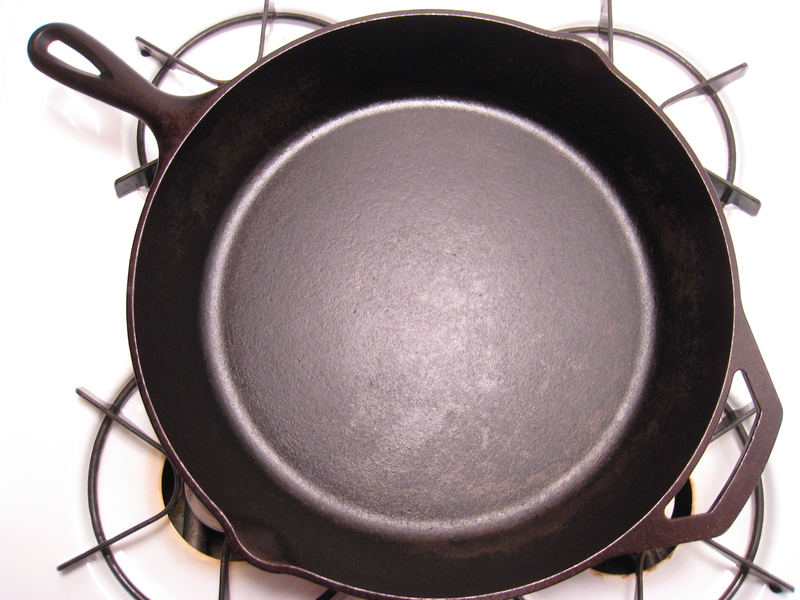 Sprinkle a teaspoon of salt on your pan with about a teaspoon of vegetable oil. Using an old rag, scrub. Wipe out the salt from your pan. Buff it with a clean corner of your rag. Let cool.